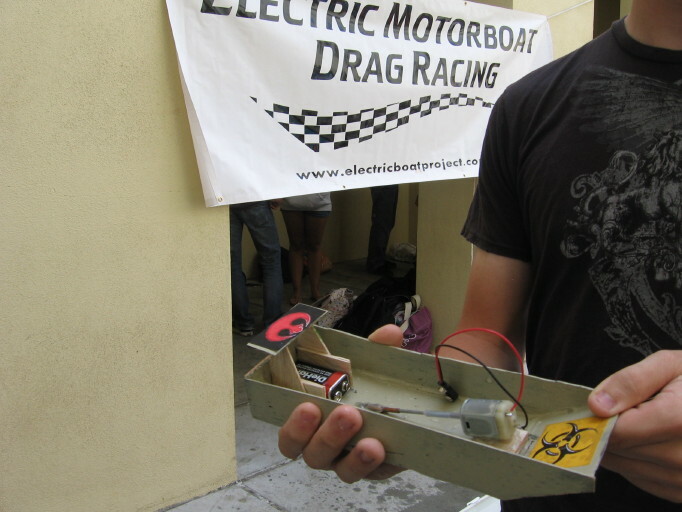 See why high school physics mini-electric motor boat drag racing blows away cardboard boat racing! 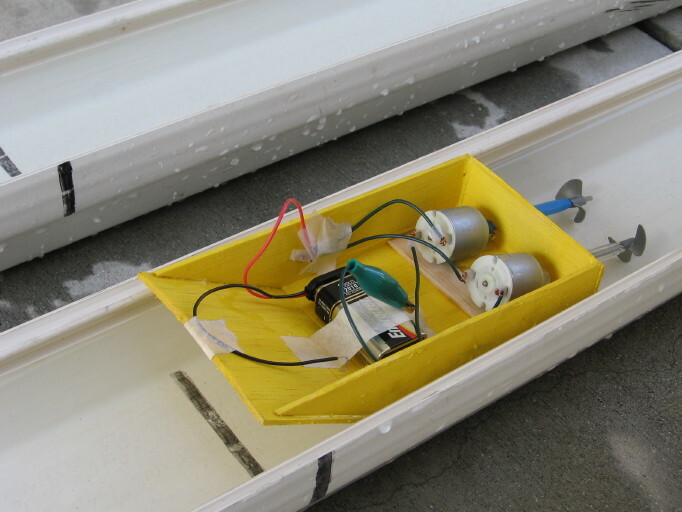 This project applies Physics Content Standards from throughout the year, and is a cool science project that students love. 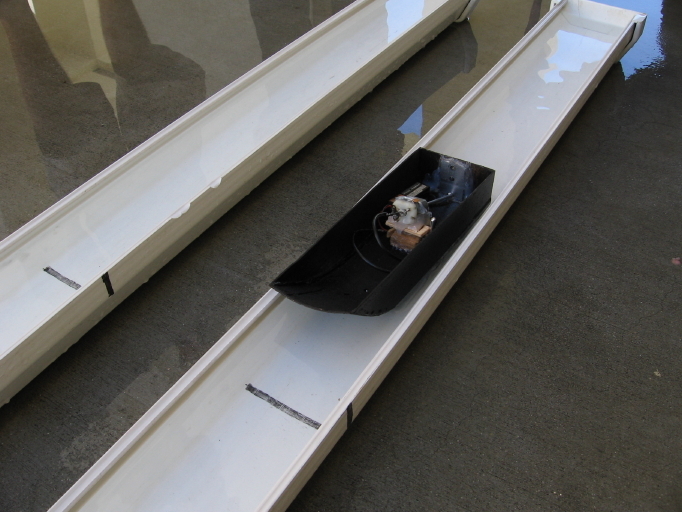 This speed boat is the record holder: 1.5 seconds for the 5 meter race! 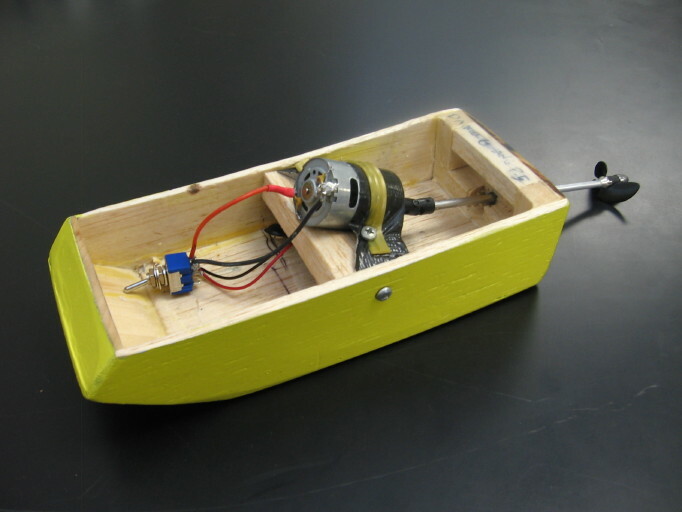 He clearly thought about his boat's mass & shape, force from the propeller, drag from the water, and circuit design. 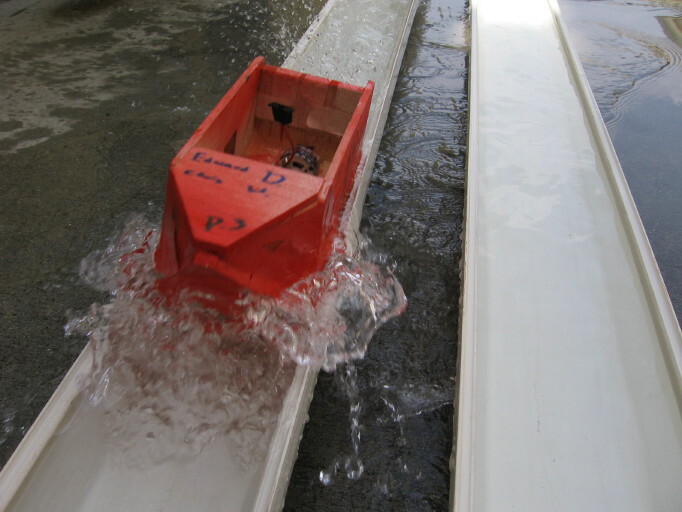 This boat was the fastest (1.6 seconds) that year because of attention to physics details. 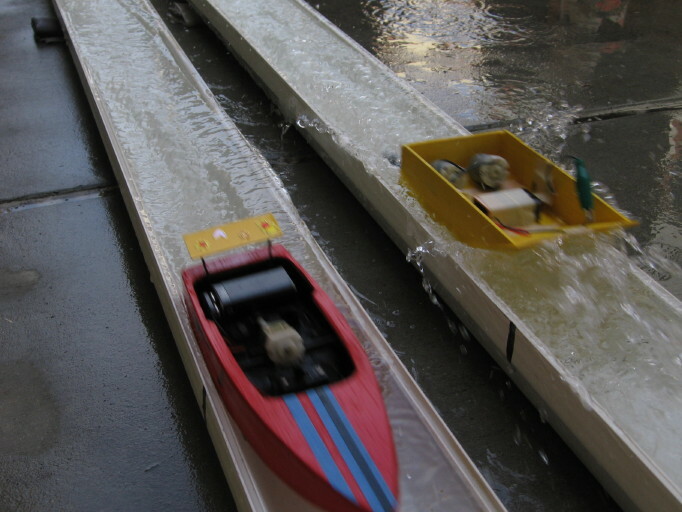 This close-up shows why his boat was faster than 140 others. 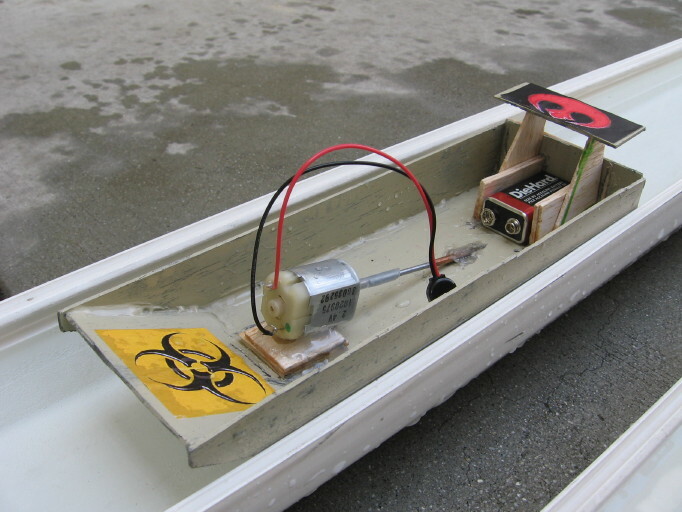 It was designed to ride on top of the water to reduce drag because of its low mass, shape, propeller angle and powerful circuit. 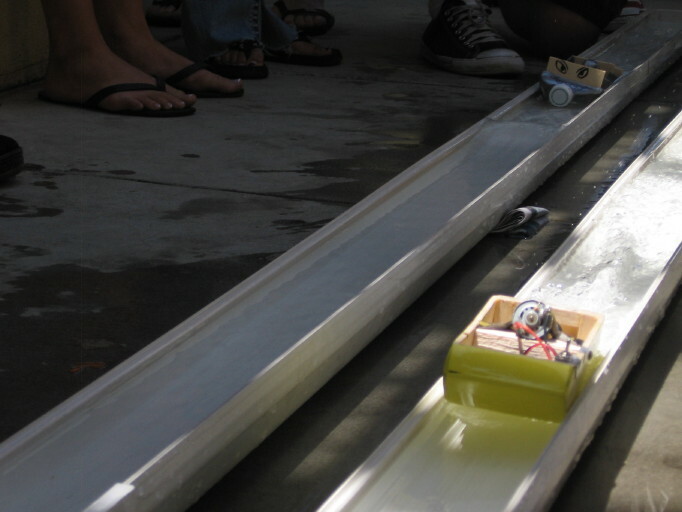 Racing to apply physics and getting caught up in the excitement! 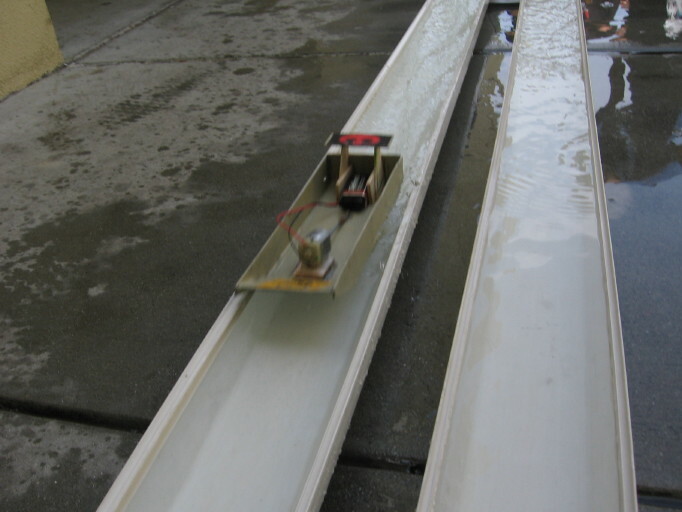 You can do it too! 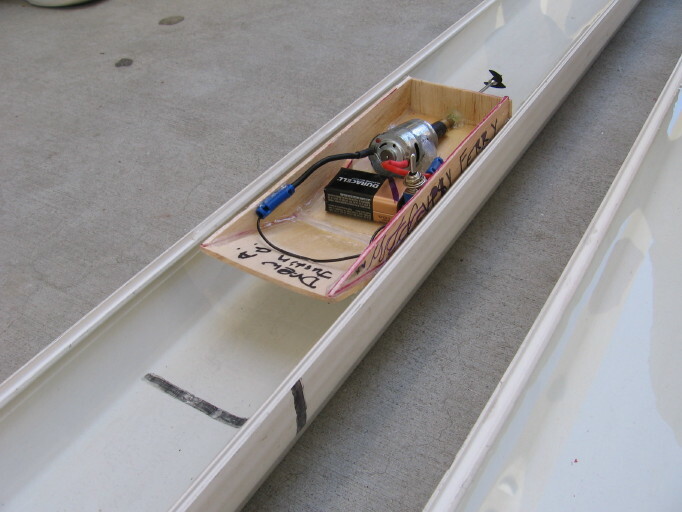 Hear the roar of the motor and see this fast boat drag race from 5 meters above the action.